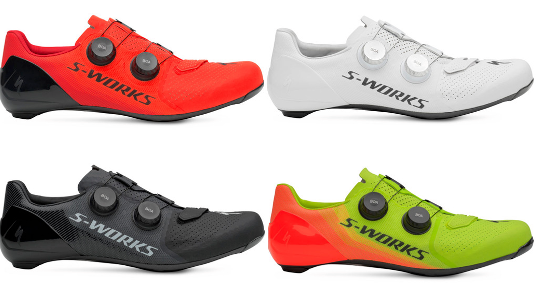 Specialized's updated version of their top model road shoe once again features new technologies that boost the overall comfort and efficiency of your ride. 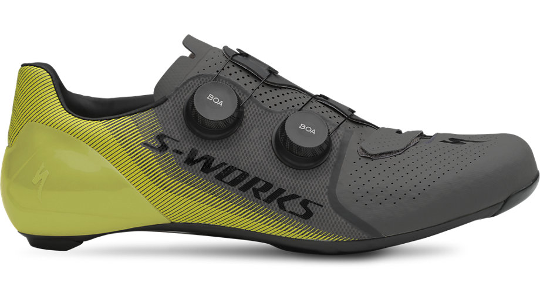 The S-Works 7 features the brand-new Powerline™ carbon sole, the fastest, lightest and stiffest outer sole that the Rider-First Engineering team at Specialized have ever produced. At the back of the shoe, you will find an innovative Padlock™ heel cup design, it helps to improve the riders fit as well as ensuring comfort. 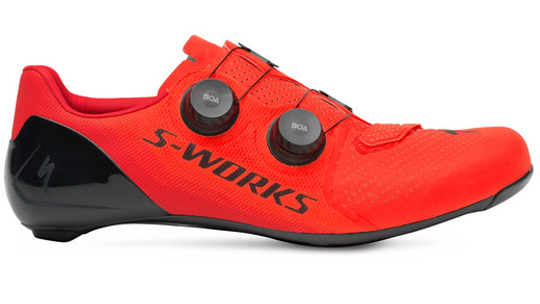 The material used to construct the shoe is made to prevent stretching when fitting the shoe to your foot, it also remains true to Specialized's “every watt is sacred" moto whilst providing high-quality ventilation. 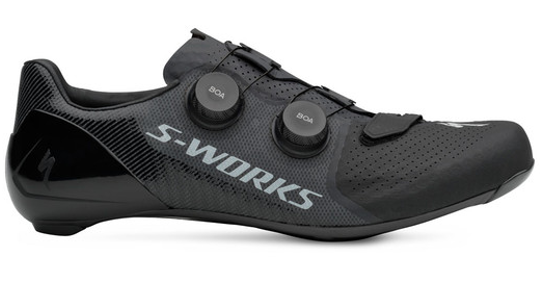 Finally, the shoe secures your foot into place with the highly rider rated BOA® dials, that through one-millimetre micro-adjustments make on-the-fly adjustments as easy as when you're sitting on the bottom step of your staircase. 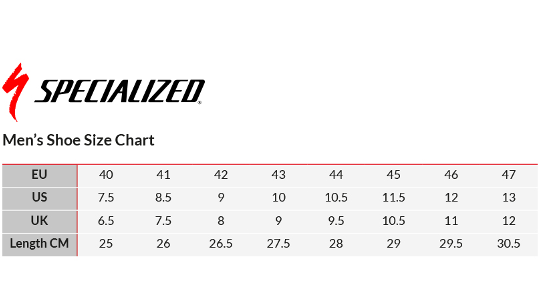 The lighter and stiffer Powerline™ carbon sole is new and brought to you by the same team that developed Rider-First Engineering. Why's this special? 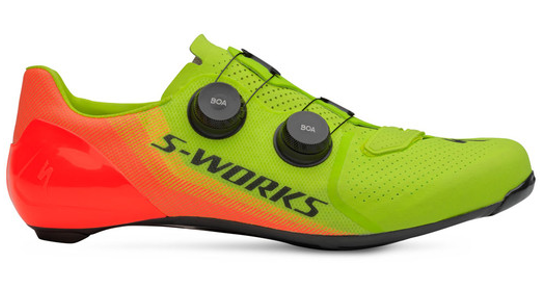 Because it led to Specialized's lightest and stiffest carbon outsole to date. 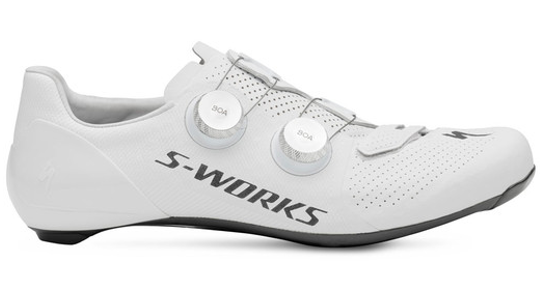 A completely refined Padlock™ Heel, meanwhile, packs in more comfort with the same exceptional heel hold that you found in the previous iteration.